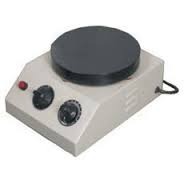 Pioneers in the industry, we offer analytical balances, magnetic stirrer hot plate, tablet hardness tester pfizer type, dial type tablet hardness tester, distillation unit / water still and hot plate with energy controller from India. 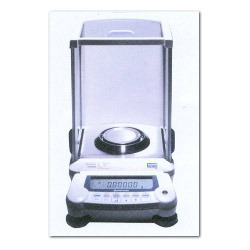 We are offering Lab Analytical Balances. 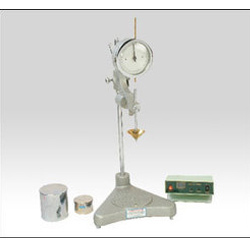 These analytical balances are accurate and precise instruments used to measure masses. They require a draft-free location on a solid bench that is free of vibrations. To ensure high accuracy weighing our analytical balances are available with a see-through enclosure to prevent dust, air or any other external factors to affect the reading of the balances. 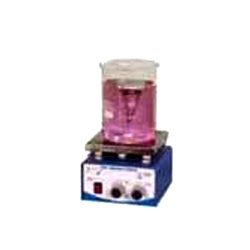 We are in to supplying of Magnetic Stirrer Hot Plate which is compact,S.S.top solid state motorised magnetic stirrer.This variable magnetic stirrer has stepless solid state speed regulator having facility of soft start and restart.Soft start facility increases the speed of rotation gradually,which does not allow teflon magnetic bit to slip from its centre. Restart switch is provided to bring the teflon stirring bit at centre. Heat control is to regulate the heat of the S.S.top hot plate. We are in to supplying of Tablet Hardness Tester Pfizer Type which helps to test tablet hardness quickly, accurately & conveniently, the instrument is deal for tablet hardness testing, very handy and potable, records quickly and directly on dial indicator the hardness reading upto 20 kgs with accuracy of 0. 5 kg, maximum tablet diameter 25mm.The entire product series is designed by our vendors using premium quality basic material and the latest technology in adherence to set industry standards and guidelines. 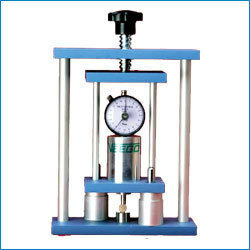 Tablet hardness Tester (dial type) we specialize in supplying precision engineered tablet hardness tester. Our tester can be fitted on either bench or tablet ling machine. It is offered with various precision engineered components including engineered dial gauge, aluminium body and others. Follow pointer records force on dial gauge while main pointer goes back to zero. We are distributor & supplier of wall mounted water still with different capacity at most economic rate. The heaters are self ejecting type as their connectors are ejected automatically in case water is still gets dry. It is also fitted with a water level over flow and in built over flow system. We are supplier & stockist of hot plate. Products and services include process control and temperature control solutions in life sciences, heat treatment, plastics and glass, where reducing customers' cost of energy is critical to their business success. 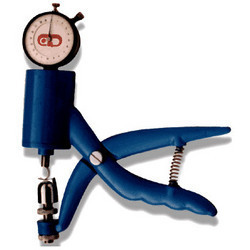 We are a leading name in Supplying of Penetrometers. Used for determine semi solid to solid materials, such as grease waxes, cosmetics, paint. Using penetration in the sample by a cone of definite weights (50 or 100)gms. Fitted to rod. By adjusting arm to touch the surface of the sample, automatic timer is also available. spare : cone, needle, weight and containers. complies with : astmd 937, astmd 217, is 1448, ip 50.